Legal News - 2018 - Cardiff & District Law Society. 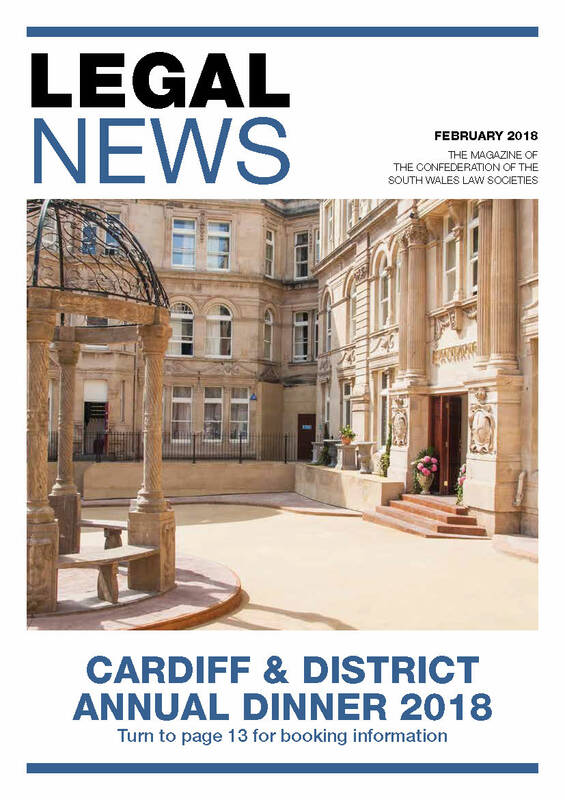 Legal News is the bi-magazine of The Confederation of South Wales Law Societies. Please click on the images below to view and download the latest issue. For Editorial enquiries, please contact the Editor, Emma Waddingham.